Quick and easy. No, that’s not what they used to call me in college. I’m talking about those weeknight dinner meals that you whip up after a long day at work. When I am too pooped to be standing in the kitchen cooking a gourmet meal for my husband, I look for easy recipes that still carry a lot of flavor. 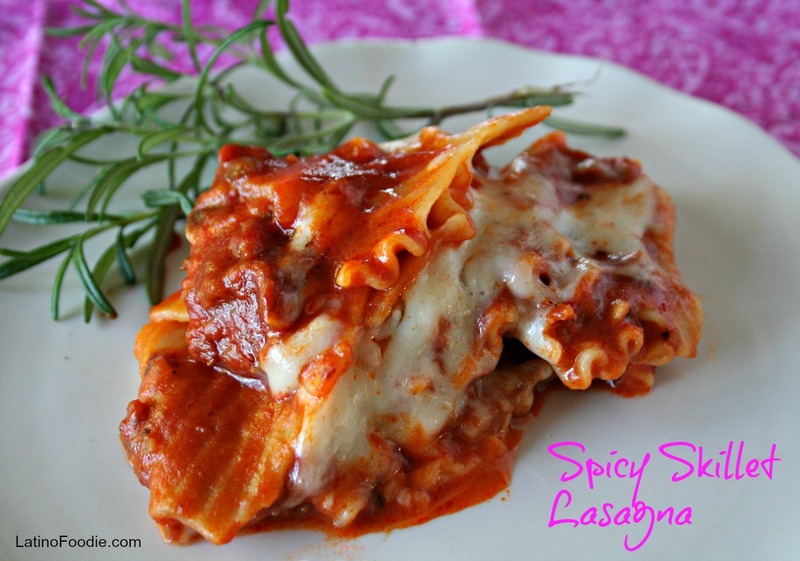 It’s on those nights that I turn to recipes like this one: Spicy Skillet Lasagna made with hot Italian pork sausage, mushrooms, jalapeños, and gobs of shredded mozzarella and parmesan cheese. It’s a hearty, robust flavor of ripened tomatoes with just enough kick from the chile peppers and hot sausage that bring beads of sweat to the tip of your nose. In this dish I added mushrooms, but I’ve used other veggies as well, such as spinach, shredded carrots, bell peppers, and even tips of asparagus. Throw it all in one pot (or skillet) and get creative with it. 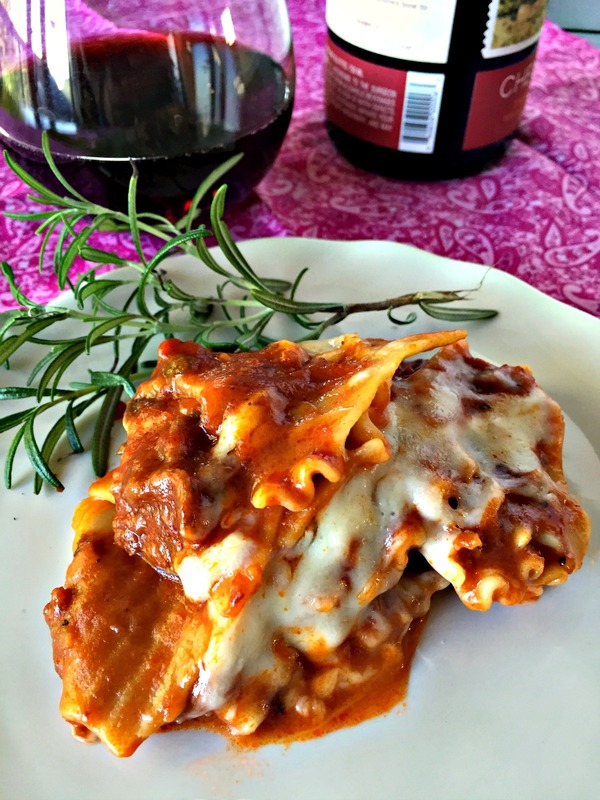 We were asked to add our personal touch on a favorite Ragú® recipe, Weeknight Skillet Lasagna. Ragú® has the Authentic Italian taste American family’s love and a variety of great tasting, quick and easy to make family favorite recipes. I grew up with the stuff. 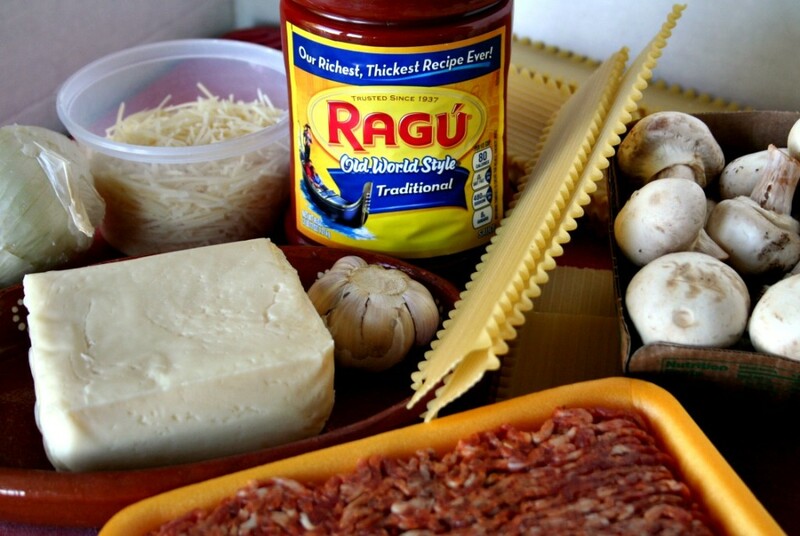 I remember my mom cooking with Ragú® when she was running late from work or volunteering at the school and needed to rush home and feed three very hungry boys and an even hungrier husband. She’d turn the delicious sauce into spaghetti in a meat sauce, chicken parmesan, or my favorite — lasagna. That’s the beauty of being 2nd or 3rd generation Latino living in Los Angeles, we enjoyed food from all over the world. 1. In a heavy, large skillet over medium-high heat, brown sausage. Add onions, garlic, and jalapeños. Cook for another 2-3 minutes. 2. Stir in Sauce and water until well combined. Add the rosemary, oregano and adjust taste to your liking with salt and pepper. In this recipe I used about 1 teaspoon of each. 3. Stir in broken-up noodles. Set the time for about 20 minutes. Reduce heat and simmer until heated through. 4. Add parmesan cheese and stir to mix well. Simmer covered until the cheese is melted about 3 minutes. 5. Add the grated mozzarella cheese on top, cover with lid, and cook for another 5 minutes. Ragù® is recognizing and celebrating everything that makes your family’s mealtime #Saucesome. Right now, you can visit RaguSweeps.com for a chance to win a variety of #Saucesome prizes including weekly $1,000 prizes and the grand prize of $12,000 towards a Saucesome kitchen makeover. Looking for additional mealtime inspiration? 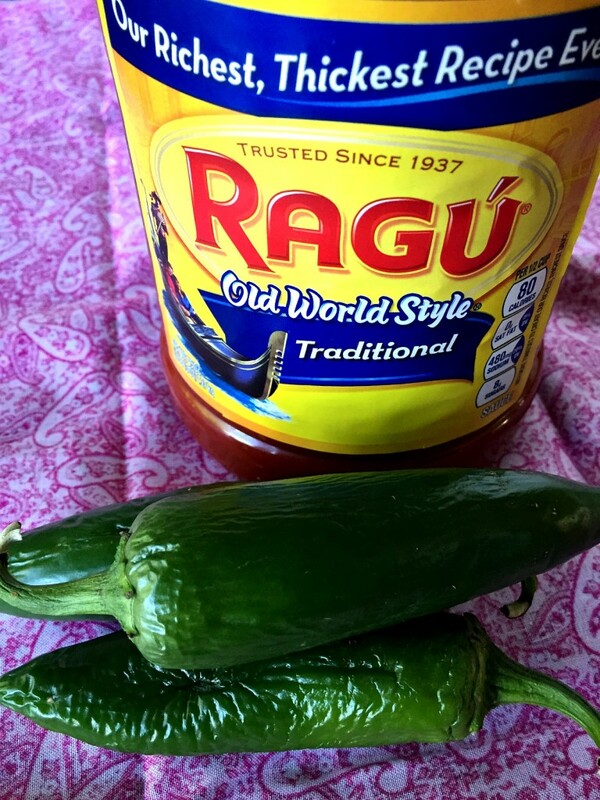 Visit Ragù on Facebook, Pinterest, and Twitter and use the hashtag #Saucesome.